Have you fallen prey to any pranks this morning? It's April Fools' Day, you know. I have to admit I dreaded this day as a teacher, but a prank can be pretty fun if it's done right! Laughter is definitely the best medicine that anyone could ask for, so today we are going to celebrate a good giggle, chortle, cackle, hoot, chuckle, howl, and belly laugh. And it's FRIDAY, so that's definitely something to celebrate! I searched the web for pictures of people laughing. Just looking at this collage makes me happy! You can't help but smile looking at it. Hopefully you're grinning from ear to ear now! 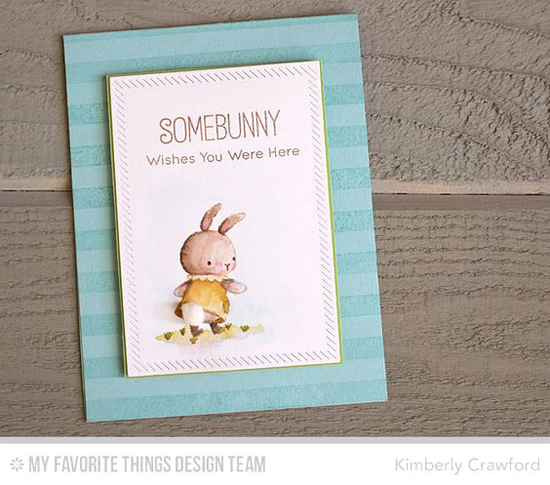 My Favorite Things likes a good laugh, too, and we've created a whole slew of witty products that make for some hilarious designs. 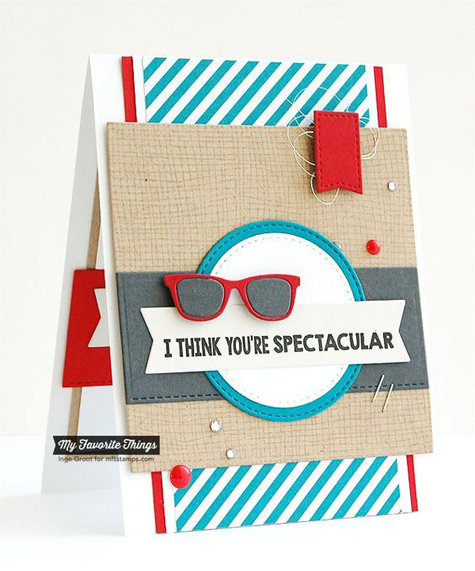 A card is supposed to make the recipient feel good, so creating funny cards just seems natural. Let's take a look at some amusing projects that will make you chuckle! 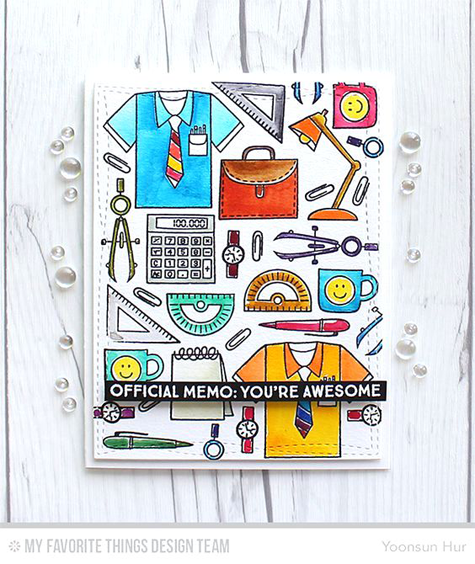 It goes without saying that nerdiness is funny, so this colorful card from Yoonsun using the nerdy Get Down to Business stamp set is sure to elicit a chuckle. Birthdays are the perfect time for some aging humor, and Barbara knocks it outta the park with this card using the super funny Piece of Cake stamp set. Some of the other sentiments in the set read: "I have the extinguisher handy," "We're not getting old, we're getting awesome," and "Let's celebrate your existence with cake." 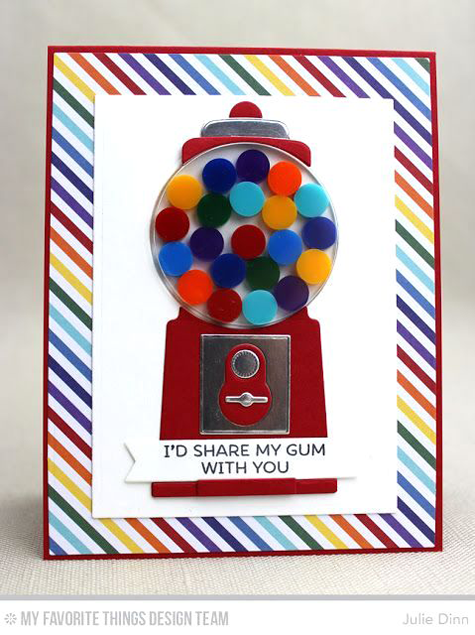 Sometimes a clever one-liner is all that you need like the sentiment on this cute and colorful design from Julie Dinn using the Gumball Greetings Card Kit. Yeah, a little gross, but if you have boys, you're well aware that gross is HILARIOUS! 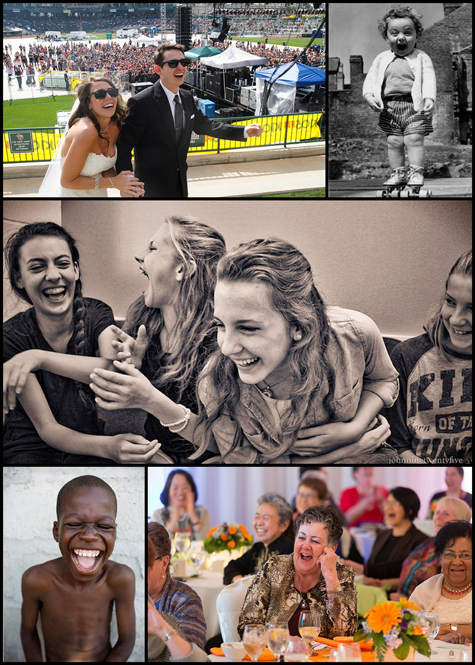 Anytime you've got a photo booth, you're sure to bring out lots of laughter! 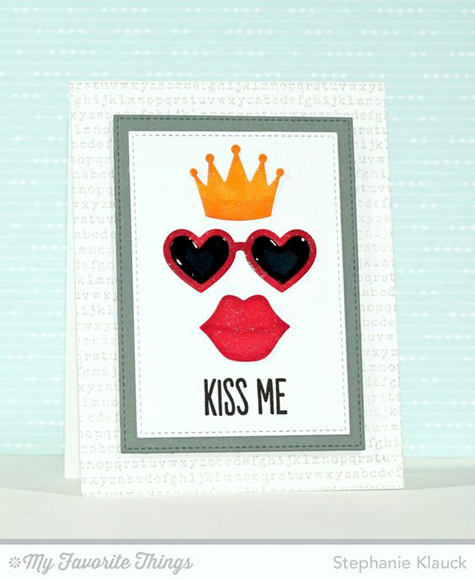 Our Photo Booth stamp set and Photo Booth Props Die-namics can combine for some hysterical card designs like the one that Stephanie created below. We love a good pun here at My Favorite Things, and we donut know what we'd do without them! 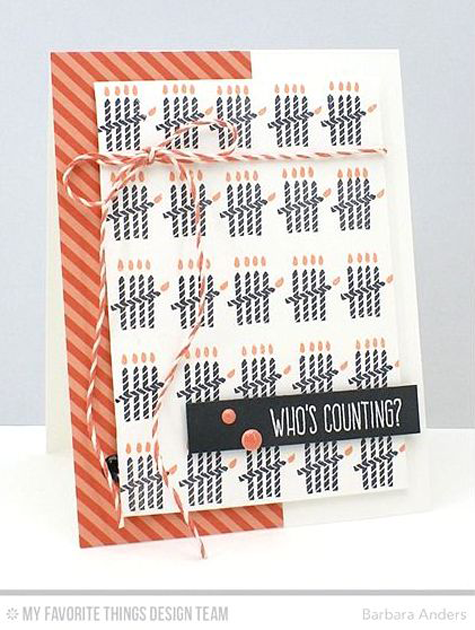 Jody created this punny card with a box full of delicious chocolate donuts using the Donuts and Sprinkles stamp set and Donuts Die-namics. This card is 100% calorie free! 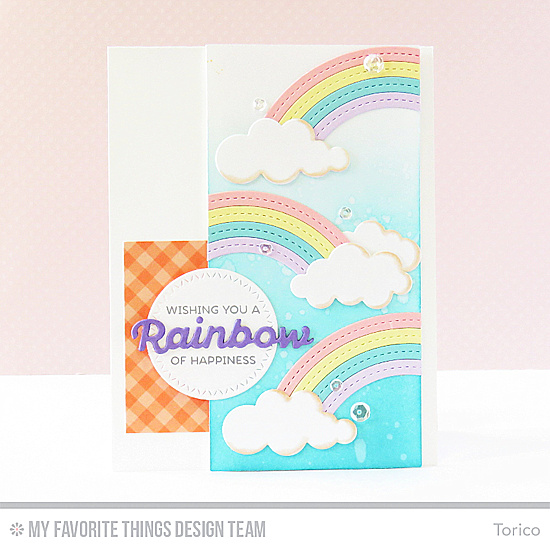 And finally, Keisha's design is, like, totally cute until you read the punny sentiment! 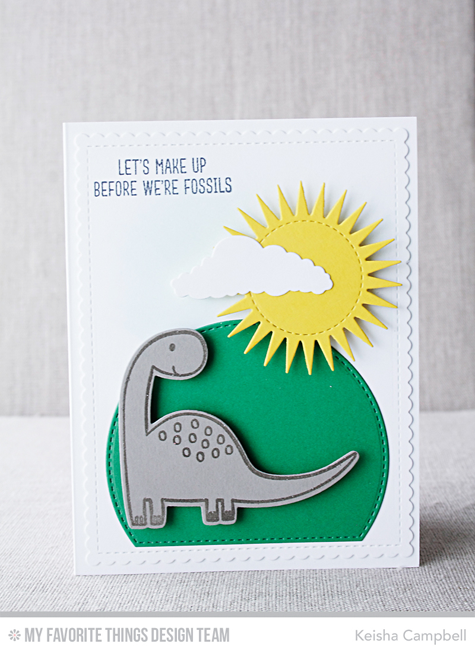 The Prehistoric Fun stamp set is sweet and funny all at once! Before you go, take a look at a few of the silly, funny, and punny stamp sets and Die-namics you can buy at the My Favorite Things online store! Simply click on the photo to be taken directly to the product. If the product is currently out of stock, you can sign up for an email notification once it's back in stock! Here's to a creative weekend! Hope it's filled with lots of laughter!